On Nanuku Auberge Resort’s Fijian Food Safari on Fiji’s Pacific Coast, you’re chauffeured in air conditioned comfort to bustling Navua Market – some 15 minutes away from the multi-award winning resort – with a friendly buddy in tow, where farm vendors from the island’s interior sell colourful and exotic island produce for a few dollars a pop. The buzzing local market becomes a place for cultural immersion and learning, where visitors to Fiji can encounter a number of tropical fruit and vegetables for the very first time: things like breadfruit (a thick, spongy ball-shaped fruit whose texture closely resembles bread once cooked), ota (wild-harvested fiddle fern which add a delicious crunch to salads), and nama (the flavour-packed sea grapes which burst in your mouth releasing a delicious sea salty goodness that has led some to christening it ‘vegan caviar’) to name a few. You get to engage with local market vendors, learn about local fruit and vegetables and how they’re used, and buy things to take back to use in a traditional Fijian cooking lesson using centuries-old methods that’s waiting back at the resort. The market visit is one part of a half-day tour that includes a number of stops including a traditional bamboo rafting excursion along a serene mangrove-lined river to catch large mud crabs, a visit to a nearby internationally certified organic farm that Nanuku is partnering with on artisanal menus, and the cooking lessons mentioned above. The mud crabbing experience is magical and otherworldly. You set off from a river mouth on the resort’s edge aboard a bilibili, a traditional Fijian bamboo raft, along a still and quiet mangrove forested river that stretches for miles inland. Like a rainforest soundtrack, wild bird sounds such as the sharp and shrill squawks of Fiji’s endemic musk parrot and the arf-arf of the barking pigeon break the meditative silence along the river. Everyone takes turns pulling the crab traps out of the river. The captured females are released back into the wild to maintain a healthy crab population but the males aren’t as lucky. They end up in a signature chilli mudcrab dish back at the resort. The Food Safari also includes a visit to award-winning Ranadi Plantation, some five minutes from the resort by car. Ranadi Plantation is Fiji’s largest organic ginger farm set on 62 hectares with 1.5km of its own beachfront. The farm also produces a wide range of other fruit, legumes and spices including lemongrass, lime, lemon, coconut, papaya, cacao, turmeric, mucuna, vanilla and cinnamon, which Nanuku is increasingly using in its Clubhouse menus. You also get to experience steam-cooking fresh water prawns in bamboo tubes over hot coals. Vegetarian options like ota (fiddlefern) and duruka (wild asparagus) are also offered. 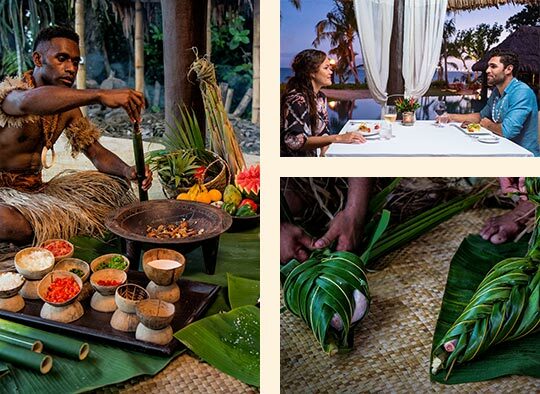 For a truly immersive experience, Nanuku puts on a lovo, a centuries-old cooking method where meat, fish and island root crop staples such as taro, manioc and kumala (sweet potato) are wrapped in leaves and slow-cooked over hot stones in an earth oven. 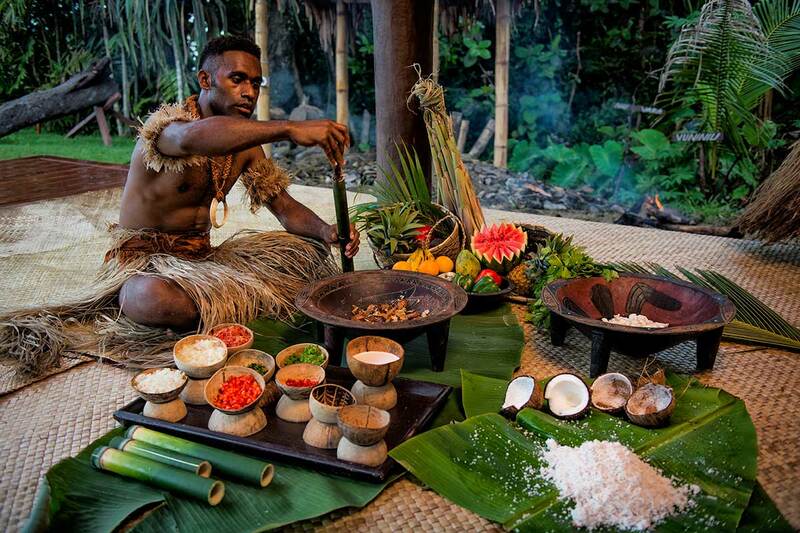 Outside of the Food Safari, Nanuku homeowners and guests have daily opportunities to experience Fijian food through the resort’s regular offerings. 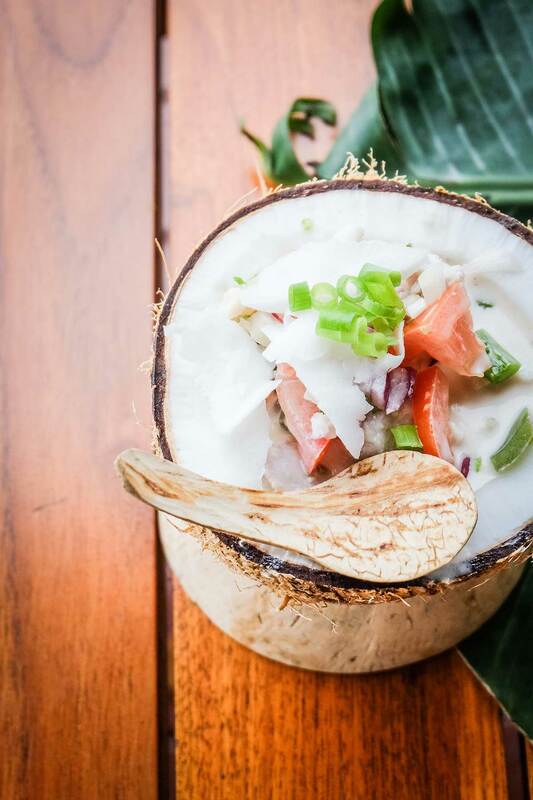 Daily changing menus feature innovative dishes and drinks where exotic Fijian ingredients have been reworked in interesting and creative ways that are an easier entry point for those not familiar with Pacific Island cuisines. These dishes appear alongside more familiar Western staples allowing you to journey between comfort and culinary thrill-seeking depending on how you feel. The use of Fijian ingredients in new ways extends to Nanuku’s beverage offerings as well. A trio of vintage glass dispensers at the resort bar houses spirits infused with local ingredients: there’s kava-infused vodka, vesi or ironwood whiskey, Nanuku masi (paper mulberry) rum. For tee-totallers, there’s iced hibiscus petal tea made from flowers grown on the resort’s lush grounds, and a delicious fresh ginger lemonade with honey. 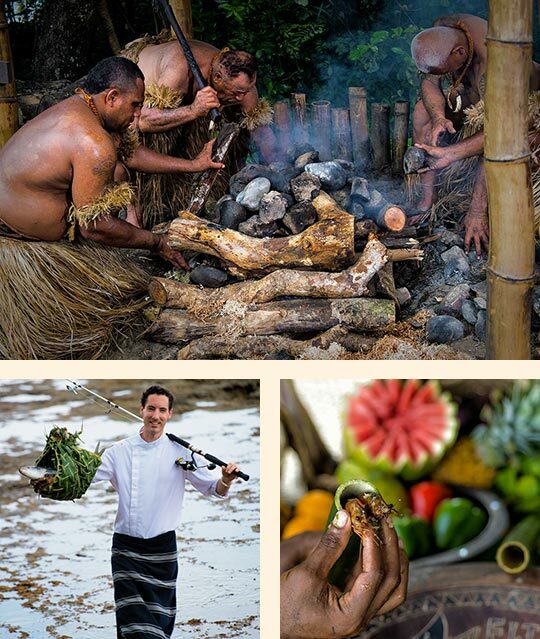 The resort recently welcomed talented new executive chef Oliver Scarf, who cut his teeth with a stint at the iconic Laucala Resort and several highprofile luxury hotels and resorts in his native New Zealand. Nanuku’s renowned dining experiences easily place it in the Top 5 Resort Dining Experiences in Fiji. In addition to being a foodie’s paradise, Nanuku Auberge Resort immerses homeowners and resort guests in the rich culture of Fiji with enriching activities for all ages, taking advantage of its prime spot near Fiji’s Adventure Capital, Pacific Harbour. Nanuku is part of Auberge Resorts Collection, a boutique hospitality company with glamorous five-star properties in the United States, Mexico, Costa Rica, Nicaragua, and British West Indies — and more being added all the time. Auberge’s world-class hotels, spas, resorts, and residences express the natural beauty of their surroundings and share intuitive, gracious service. More information about the resort is available at nanuku.aubergeresorts.com. Cut the walu into ½-cm cubes. Marinate prepped walu with lemon juice and a couple of pinches of salt. Leave for at least 4 hours at room temperature. Once the fish is cured, strain and give it a wash. Mix the rest of the ingredients with the marinated walu, adjusting the seasoning.